Green Bag Lady: Aunt Frances Freebie! We have a very fun freebie for you today! My wonderful 92 year old Aunt Frances made these 19 bags. They are fun fabrics. Some are even vintage. They are light enough to roll up and stick in your purse or coat pocket. Would you like to win one? •In your comment tell me about your favorite aunt. 19 lucky people will be picked at random to win one of these Aunt Frances bags. We will ship these shopping bags internationally. You MUST use English for your comments. Do the best you can. Non-English comments will be removed. Thanks Aunty! Thanks GBL! Always love your designs! Real vintage looking fabric, Especially the red and green plaid. Thank you for the give away. My favorite aunt was my great-aunt Rhodie. She taught me to hand sew at a young age and started a lifetime of sewing. Your Aunt Frances is Great! I would love to have one of her bags. Would be sharing with one of my friends. What a nice thing to do Aunt Frances. I love your bags and feel lucky to have one of them. My Aunt J is the best!! Ever since I began college we have grown closer (not only because we are now in the same state!!). Hello dear Teresa.bags looking great.My aunt is very young.She is younger me.She is 12 years old.her name Kate.But she very cool and smart girl.i have a little daughter and Kate always help me with her. Very cute bags! What a great idea and so easy to carry around. 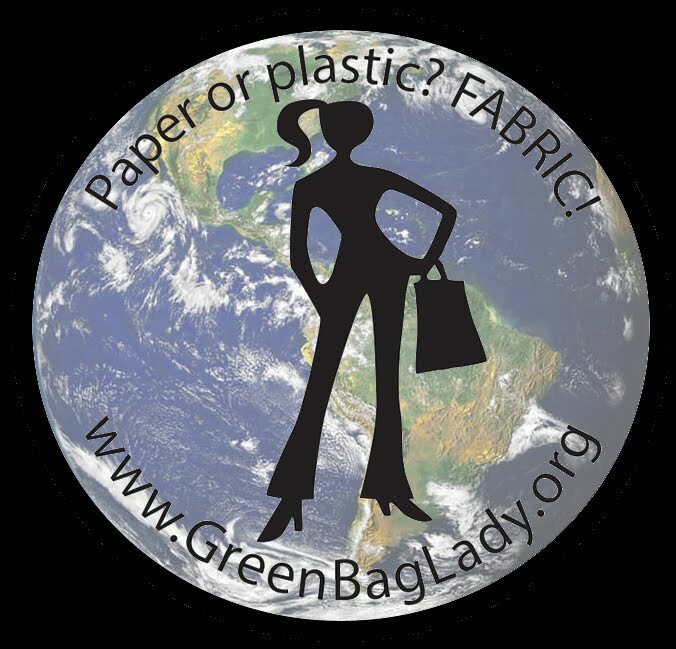 An easy way to help save the planet one bag at a time! kimlegge56(at) gmail dot com. Thanks! My favorite aunt, my mother's sister. It is like a friend to me! I with my aunt as a friend. I can talk on any topic with her. Hello) I love to see your work. You constantly come up with something new and inspire his work. I naravitsya that what you are doing. May God give you health and prosperity. Hi! Your bags are great! I want to get this bag, so it gave me positive during shopping. Thank you! When I was little, we used to go with my aunt in the woods for mushrooms. my favorite auntie is bridgette. she is an actress. and she is FABULOUS!! Hello. My name Lena. I really want to have your bag in my life. Hi! My aunt's name is Lena, she taught me to knit scarves and cross stitch! She is very good! Gorgeous colors perfectly raise their spirits! Love this! Thank you very much! My aunt is very beautiful and kind, she helps people to get here home. Hello. My aunt's name is Tatiana. She is very kind woman, she bought many clothes and toys to me when I was little girl. I respect her very much. Very cute bag. I would like to use it in my life. Thanks for giveaway. Wow you aunt is very brilliant; people at age of 60-70 find difficult to read book, and your aunt makes such awesome handicraft bags. I love my aunt. Her name's Tanya, she is really good at cooking, she works in the restoraunt. She ussualy cooks dishes without meet, with vegetables and fruits - I like'em much! I love her! Sorry for my English. away! Thanks for the chance to win! Love my aunt Beth, she is the greatest! Thank you, Aunt Frances and Green Bag Lady. These bags are beautiful! Oh your aunt francis is wonderful. these look great. thanks for the give a way. and please thank her from all of us. favorite aunt? hmm we lived in the Mojhave dessert in California. my dad had one brother and he and his wife lived in Tennessee so we didn't see them much except at weddings, births and deaths. But she was quiet and sweet. my mom had one brother. he got married when I was two and she divorced him when I was eight. they lived at the top of California and we didn't see much of them either. I kinda grew up with out an aunt. My aunt lives in the village. I spend every summer with her. And this is the best time. She's funny, we collect it mushrooms and berries. I love her very much. The bags are so wonderful!! Tell you aunt thanks from all of us. I was never really lived close enough to any of my aunts to get to know them very well. I guess if I have to pick a favorite one though it would be my aunt Ginger. She was always such a loving woman. I loved my aunt N very much. Unfortunately, she is not with us, and I miss her. I wish your aunt good health and a long-long life. Your Aunt Frances is so AWESOME!!! My one remaining aunt is 94 and her name is Mary - I love her very much! Aunt Betty is my favorite aunt. (Shhh...don't tell the others.) She is a feisty old bird, as she would tell you herself. The last time we had lunch together she regaled me with stories about being 18 at the beginning of WWII and how she danced with all the soldiers before they went off to war. Love that aunt. Many thanks to your Aunt Frances for her hard work and generosity. my favorite aunt is my husband's aunt. She helps me in my sewing! This is a hard one for me. I actually just realized that I don't have any direct blood Aunts. My Mom's an only child, and my dad had 3 brothers. My mom's cousin is the closest woman, who I would happily adopt as my Aunt though. My Grandmother was her Aunt which is just sweet in itself. She is so outgoing and fun to be around. I just wish we lived closer together so I could be in her glowing presence! I love both my aunts - Lena and Oksana. They live in other cities therefore I see them rarely. They love to cook and travel over the world. My favourite aunt is my aunt Britta, my dad's younger sister. She's ten years older than me, but my go to persons for concerts and shopping. We share the love for the same singer/band, so when they tour we're always going together. Hi! My favorite aunt is Julia. I love her sense of humor. Your Aunt did a GREAT job! WOOT! My aunt's name is Tatiana. She is a doctor! my Auntie Ann is my favorite Aunt because she makes a delicious Peanut Butter Pie! I lived with my aunt a few years, then bought his apartment. 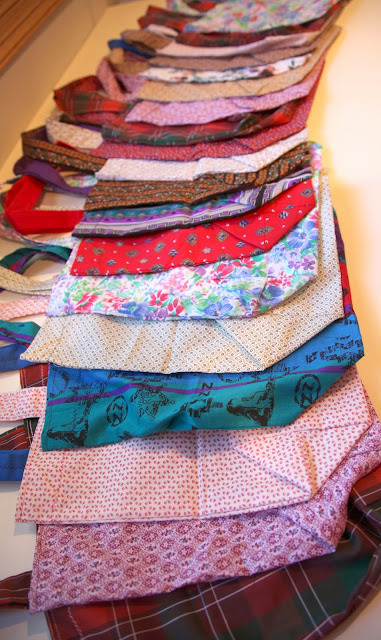 I love vintage fabrics! How lovely! Thank you! My favorite Aunt was very creative and very thrifty. She would have loved your bags! I have lots of aunts, my mom has 6 brothers (all married) but my favorite is probably my aunt Carey, my mom's only sister. Sometimes my mom even calls me Carey and I have to remind her that I'm her daughter and not her sister! Wonderful bags. My favorite aunt treated me as her daughter since she raised boys.